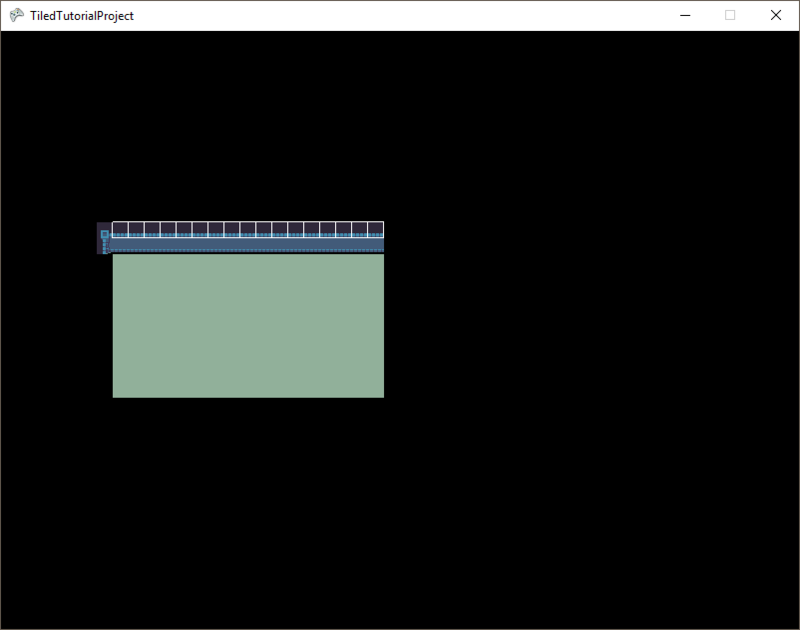 This walk-through shows how to create and use the TileShapeCollection class in a game to perform common collision logic. We will cover approach #1 (adding shapes to tiles) first since it is the simplest to get working. Additional methods will be discussed at the end of this tutorial. 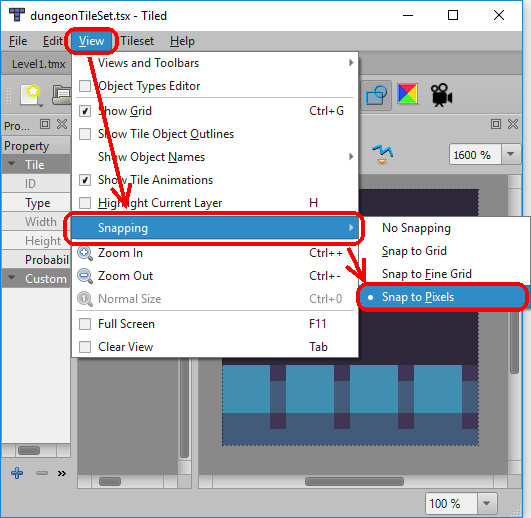 Zoom the Tile Collision Editor. This isn’t necessary but can make it easier to create shapes accurately. 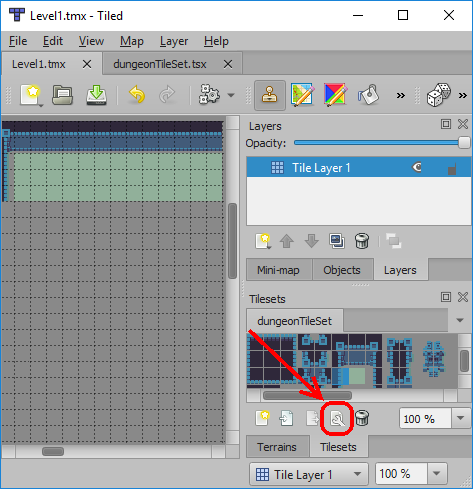 Make sure you use this tile in your map so that your newly-added collision will be used on the level. Don’t forget to save both the tile map and tileset after making these changes. Collision can be turned on during debug, but code for making collisions visible should probably be turned off before releasing your game. Notice that the code above performs a foreach loop when making the collisions visible. 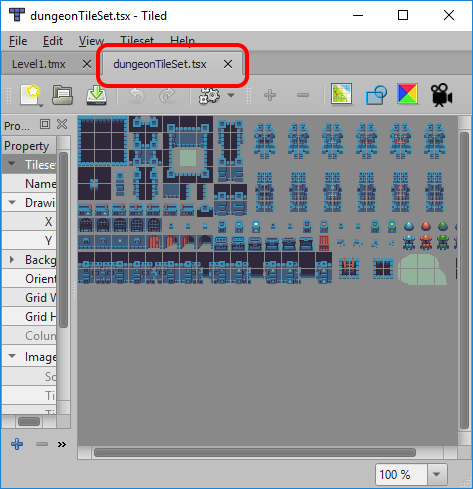 The reason for this is loaded .tmx files will create a new TileShapeCollection instance for each layer in a game. 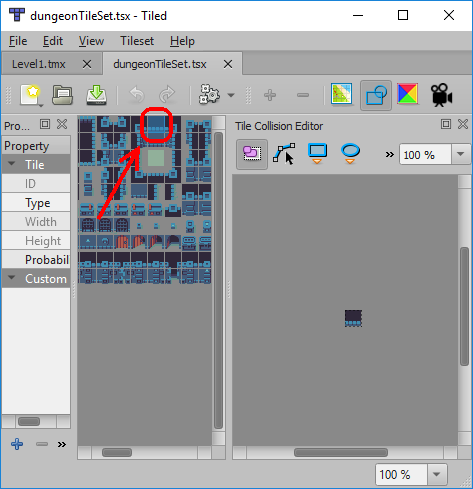 So far we have only placed our collidable tiles on one layer, so we will only have one TileShapeCollection in the Collisions list. We can verify this by looking at the watch window and expanding the Collisions object. Adding tiles with collision to multiple layers will result in multiple TileShapeCollection instances in the loaded TMX file. 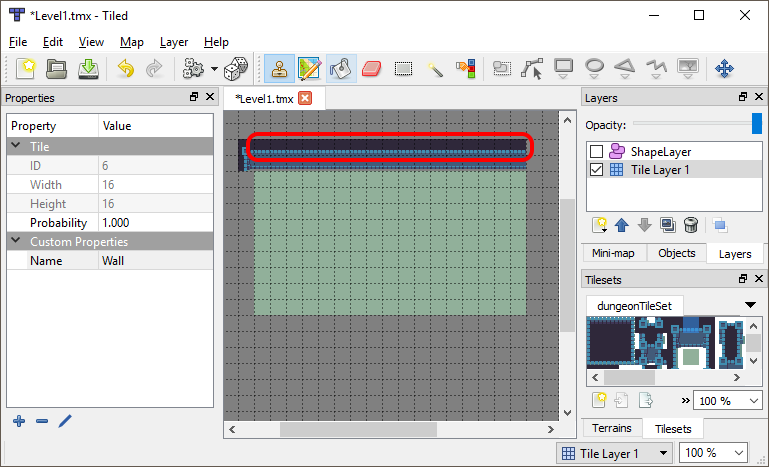 Changed Source Name to the name of the Layer in the TMX file. Notice that it is marked as a TileShapeCollection. 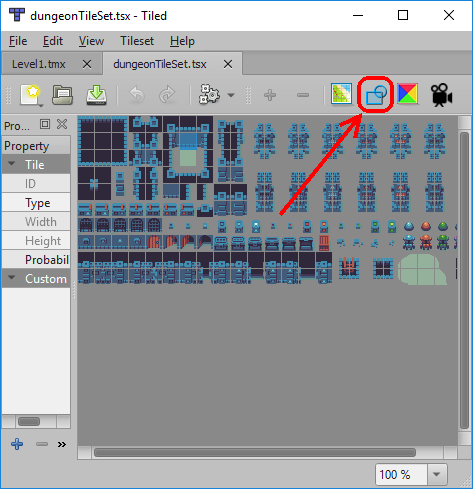 Just like any other Glue object, once a TileShapeCollection is accessed in the Glue Objects folder, it can be accessed in code too. 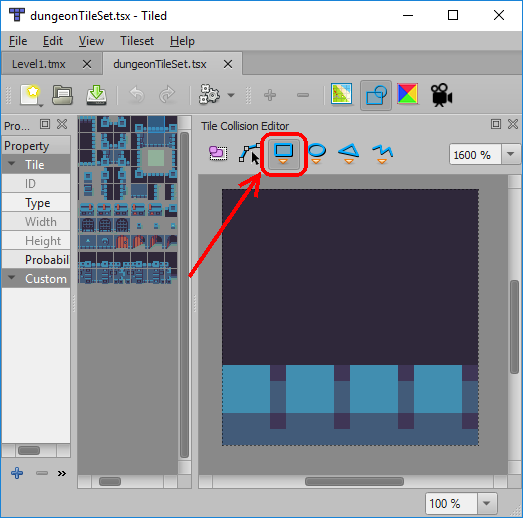 Aside from eliminating code, adding a TileShapeCollection in Glue allows real-time viewing of the map with collision in Tiled.